Introducing Julia, a high brightness LED floor lamp for reading from Berryessa Designs. It is a task lamp designed to provide reading com¬fort at a couch, sofa and bedside. 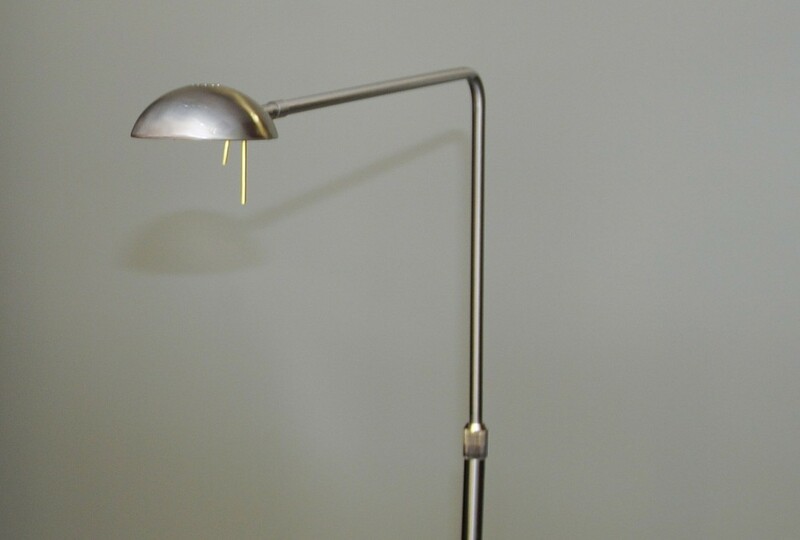 The height of the lamp is adjustable via telescoping pole. The neck of lamp is rigid. The head of the lamp swivels to direct light to the intended object. The LEDs are rated to last at least 40,000 hours, equiva¬lent to 13.7 years of lighting service based on 8 hours of use per day.